Fortunately for the police and unbeknownst to Bland, their car was equipped with a dash cam that recorded the entire encounter. Upon reading the editorial, Corinth Police Chief Debra Walthall released her own statement, along with the dash cam video, of the incident. She said the officers noticed Bland was walking in the street and impeding traffic, despite the fact there was a sidewalk. A man in a pick-up truck had to come to a complete stop to avoid hitting her. It was at this point that the officers decided they needed to do something to protect her safety. In fact, the video corroborates everything the chief said. 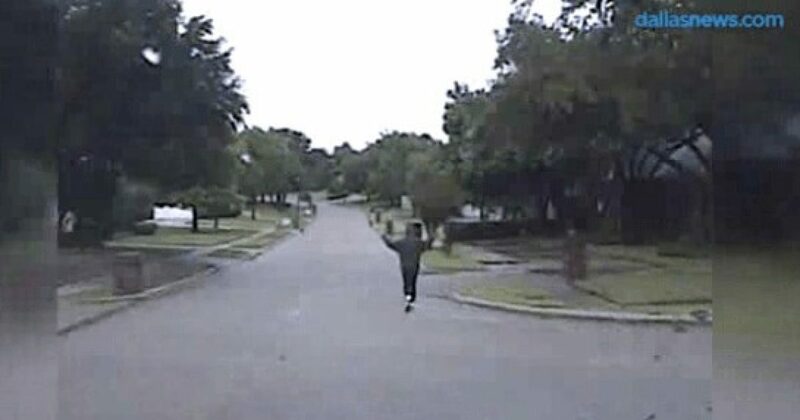 After the officers recorded Bland’s identification, which is standard procedure in police interactions with the public, Bland walked away thanking the police officers for their concern. A race-baiting “wackademic” cries racism and the Leftist media, in this case the Dallas Morning News, was all too willing to perpetuate the LIE that black people get harassed by the police. The cops were right: her walking in the middle of the road with earpieces blaring music or perhaps Obama’s speeches is indeed a SAFETY issue, NOT A RACE ISSUE.